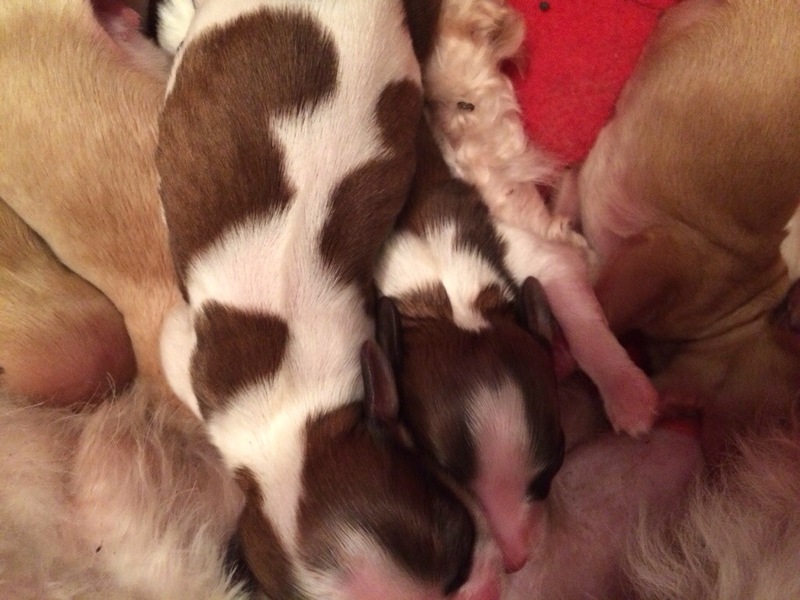 Chantel had her puppies yesterday! They were pretty tiny pups and I was worried about them so I brought her in the house so I could help the little ones get latched on during the night. I was up late with them making sure everyone had fat bellies and this morning I woke to 5 beautiful (and small) thriving puppies. I was so happy to see the littlest 2 latched on without my assistance. They are little rows of hot dogs all latched on and nursing successfully! 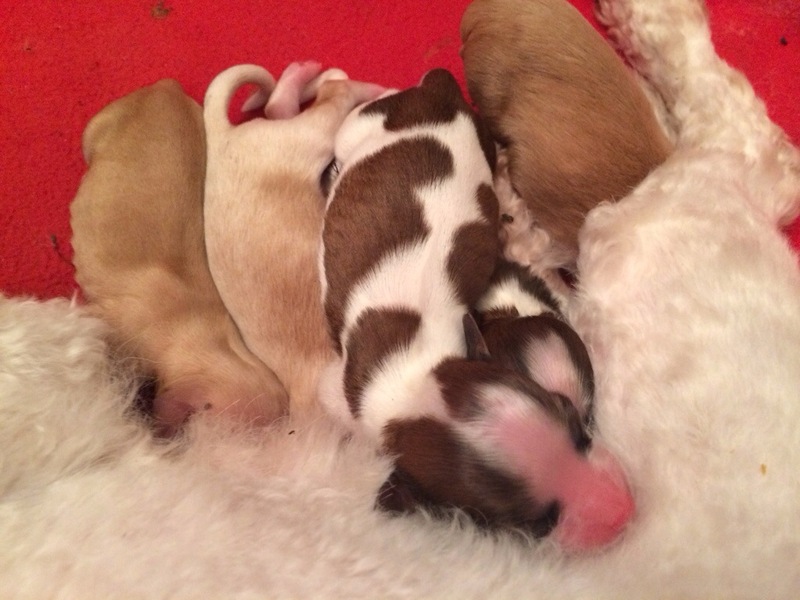 When it’s the mother’s first litter, we never know if things will go smoothly or if it will be a complete disaster. Chantel is doing an excellent job and I’m pleased with how totally calm she is!! 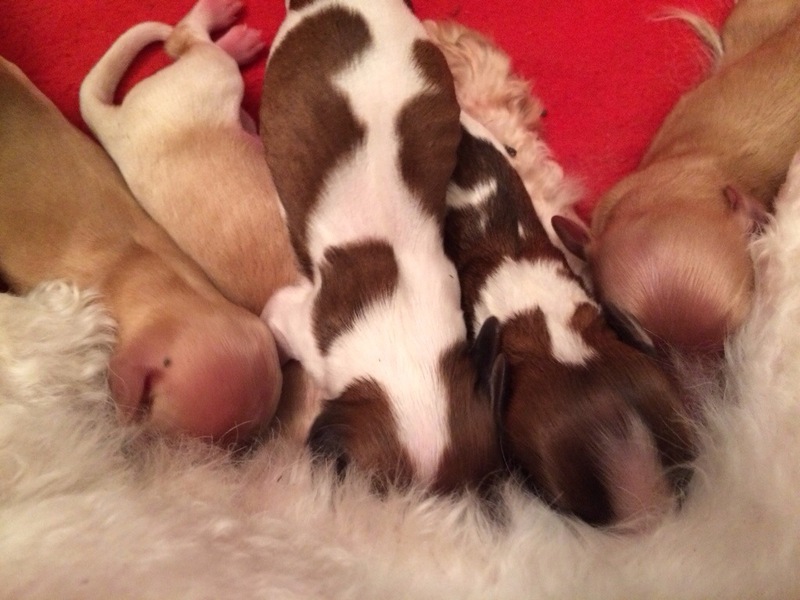 Enjoy the pictures here from this morning (they are still less than 24 hours old), and there are more photos and several videos of this litter on our FB page (link in sidebar).